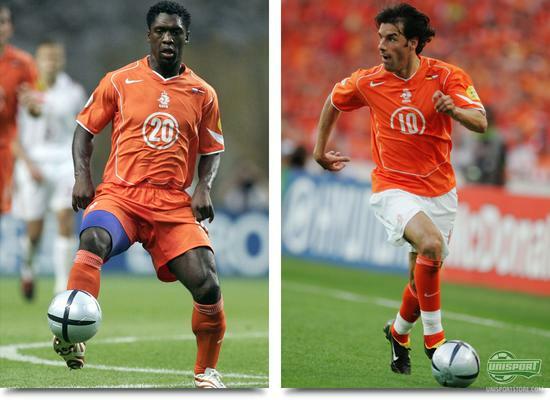 We look back at the Dutch football shirts since 2004. There is now not long until the world cup in Brazil kicks off. Four long years it has been since we saw vuvuzelas, the Jabulani and a nationwide party in South Africa. 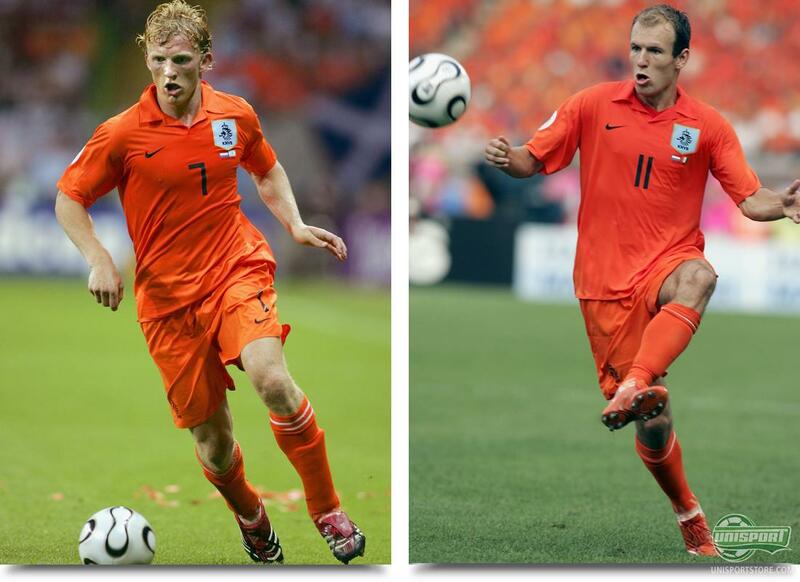 We warm up to the forthcoming World Cup, by taking a look at the shirts, which Holland have worn the last 10 years. Since 1997 Nike have had the pleasure of producing the shirts for the country of total-football and the partnership has brought us several different shirt designs. We have taken a peek at a few the ones used in the last 10 years. One thing they do however have in common, they have always been and probably always will be ‘Oranje’. You can see our large selection of Holland shirts right here. Orange is the colour of the Dutch royal family and that is the reason for the national teams colours, despite the country’s flag being white, blue and red. They have actually only on one occasion veered from the orange home kit and that was at the world cup 1934, where they were dressed entirely in blue. We start our look back in time at the Euro’s in Portugal. The Dutch shirt was made with the same design as many of the other Nike teams. The classic orange colour was complimented by white details. What stands out most in our recollection of this shirt, was the cool circle design, where the players squad number was displayed. Worthy of note is also that the KNVB logo was situated in the middle of the home shirt. Wearing this shirt Holland made it all the way to the semi-finals, before the hosts from Portugal knocked them out. For any boot enthusiasts out there, we also fondly recognise Ruud van Nistelrooy’s Nike Mercurial Vapor II boots. 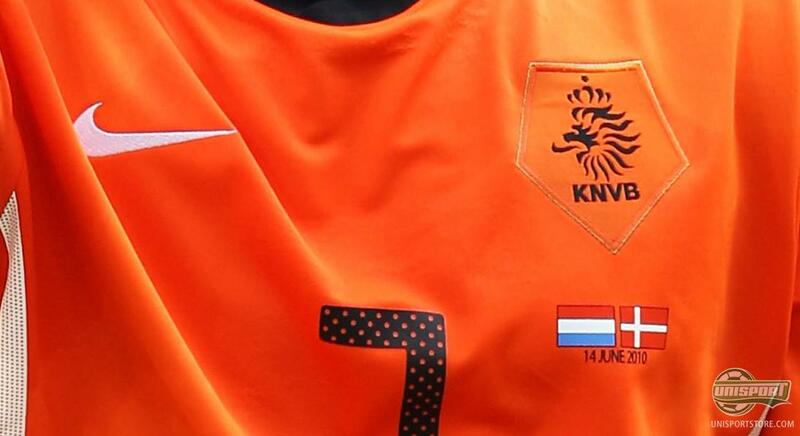 At the World Cup in Germany the Dutch kit was simple to an extreme and could be described in one word: Orange. The football shirt has no colour detail, but had on the other hand fitted an elegant collar, which gave the shirt some edge. The shorts were also orange, so the kit was entirely orange. Arjen Robben took things one step further and wore an orange pair of the Adidas F50.6 Tunit football boots – we tip our hats to good style. Yet again it was Portugal, who were Holland superior, as they played in one of the most famous World Cup games, which ended up in something resembling brawling at the end. 4 red cards and 16 yellow cards were handed out in the game, which was afterwards known as “The battle for Nürnberg”. Nike were more creative with the design of Hollands shirt for the European championships in Austria and Switzerland. Naturally the shirt was once again orange, but the Dutch flag had this time been implemented and could be found on the left side of the collar. The socks were, as something completely special light blue. Only once before have they played in a different colour socks – that was back in 1934. Sneijder & co. charged through the group stages getting maximum points and with a goal difference of 9-1. However this time was not to be a success, despite the flying start. In the quarterfinals they faced a Russian team playing out of their skins, who went on to beat The Flying Dutchmen 3-1, after extra time. 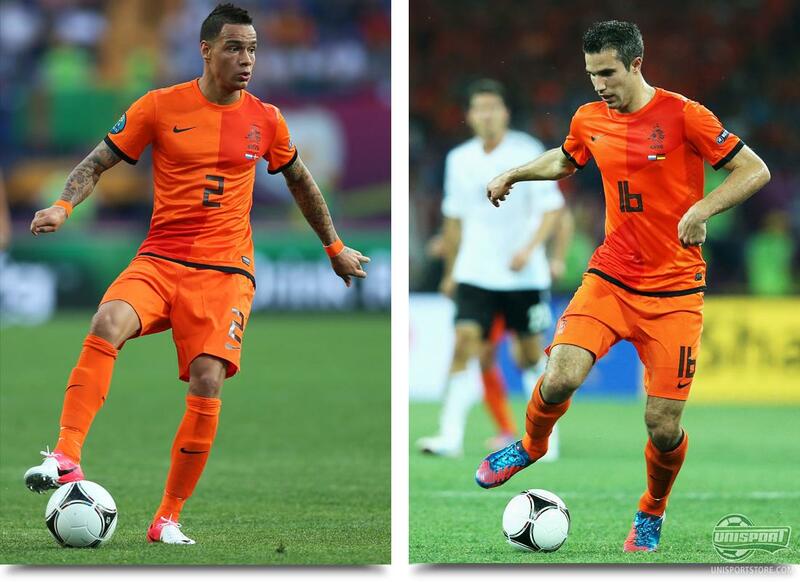 At the world cup in South Africa the Dutch national team were equipped with a new shirt, with a very clean design. White stripes ran from the shirt and down the shirts, so the top and bottom joined in one. Both black and orange shorts were used to accompany the shirt. The kit helped them all the way to the final, where the Dutch again faced despair once more, after losing 1-0 til the Spanish. In the 62. Minute of the game Arjen Robben was clear on goal and many would say that a goal in Holland’s favour would have sealed it for them. Do you remember Robbens howler? Great things were predicted for Holland as they went in to the European Championship in Poland and Ukraine. Nike had therefore produced a very special shirt for the occasion. The Dutch shirt was made with a two toned, diamond shaped design, with darker shades of orange. They were made in reference to the first Dutch shirt from 1904. For van Persie and his team mates it was however a short European championship in 2012. Three loses in the group stages, sent the Dutch mega stars on an early summer holiday. We are not yet allowed to reveal the new Dutch home shirt will look like, but we can already now divulge two things; it is going to be orange and it will once again be Nike responsible for the production of it. But that is hardly news is it. 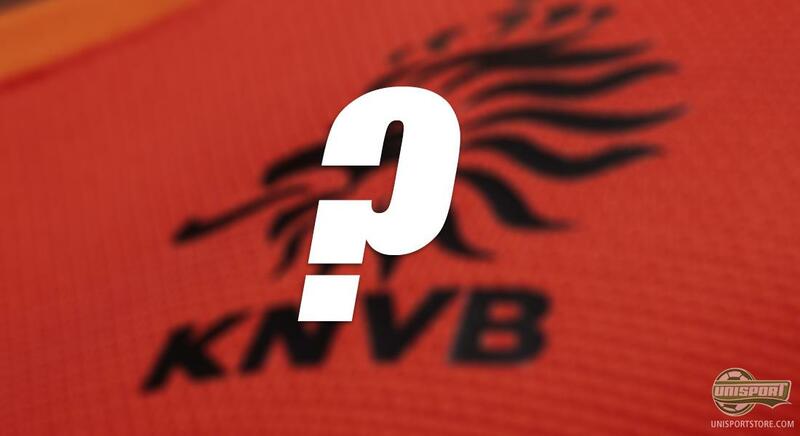 The rest is a secret and we look forward to unveiling The Oranje’s new shirt soon. The trip down memory lane is over for now, but it has been an exciting look back at Holland’s home shirts from the last decade. Which Holland football shirt is your favourite? Do you think Holland can finally fin the coveted trophy this summer? Tell us what you think in the comment-section down below, or on Facebook and Twitter.